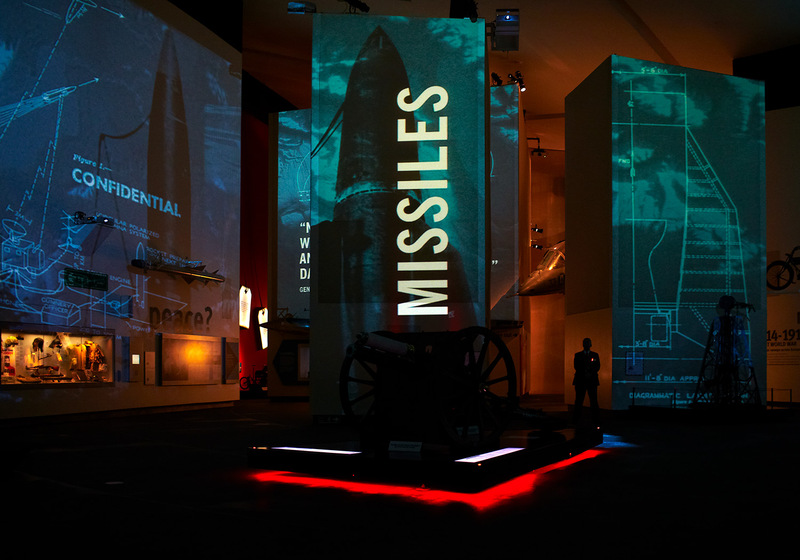 Sysco were engaged to work within the parameters of this existing exhibition in a giant warehouse gallery in Manchester’s iconic Imperial War Museum - North. 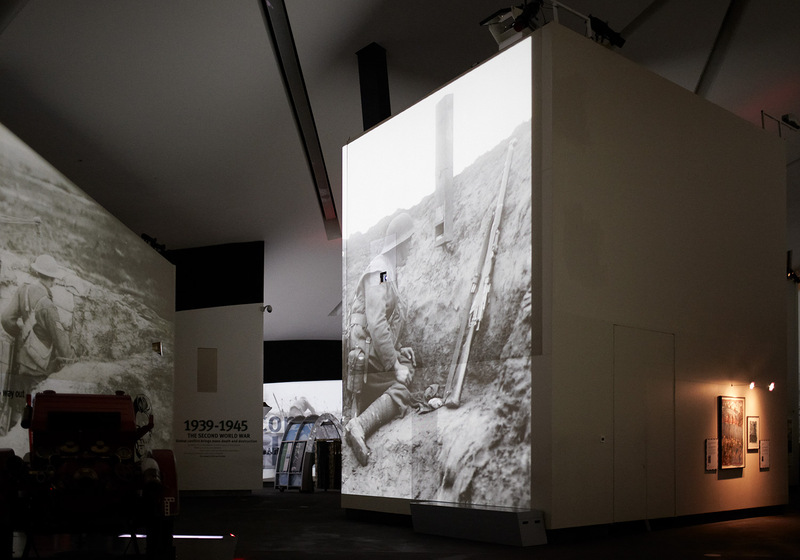 The exhibition comprised massive monoliths on which were projected huge powerful images depicting the experience of war. The original installation from 2002, built with slide- projector technology, had become unmanageable. 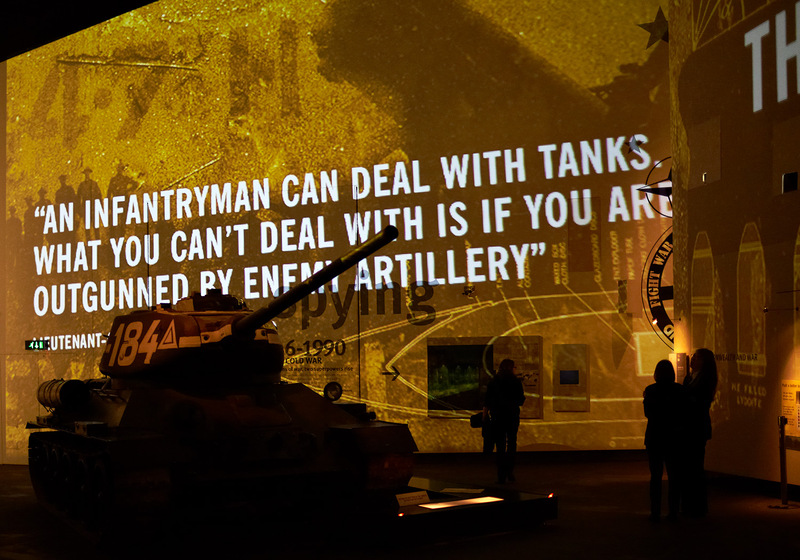 The very large and complex projected images had to be transferred to modern video technology, and integrated within existing control systems. 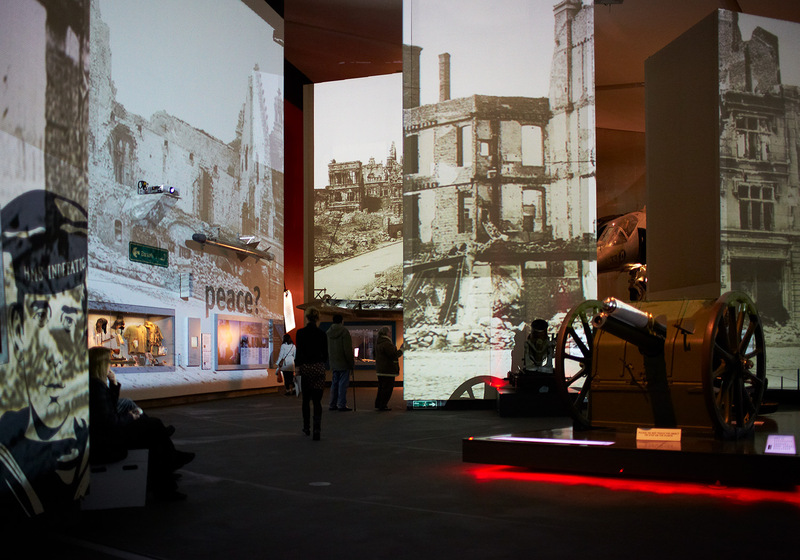 The Big Picture Show is an award- winning 360-degree experience unique to IWM North. 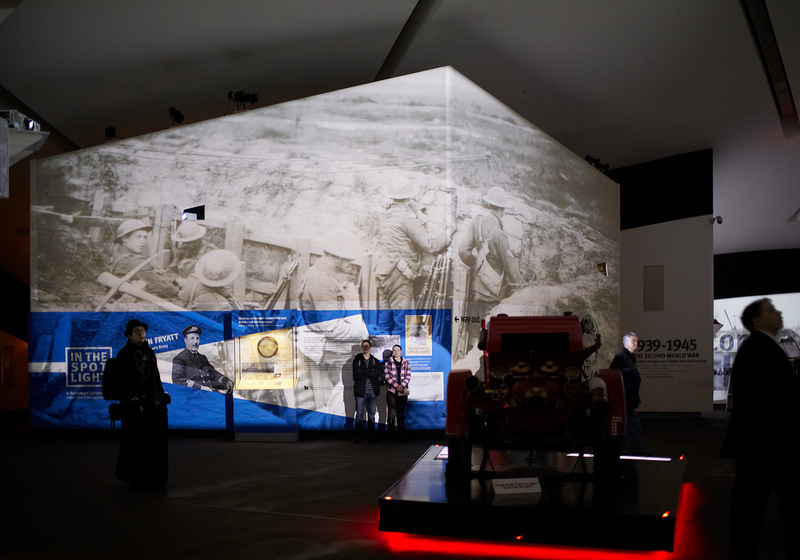 Using surround sound, projected digital moving images and photographs, the show brings to life people’s experiences of war. It immerses you in the heart of the action, creating a complete sensory experience which is totally involving, and often very moving. An extremely tight 2-week period to complete installation necessitated meticulous planning beforehand. Every stage of the project, from idea to plan to execution had to be scrupulously tested in advance so that the installation could be completed without hitch. 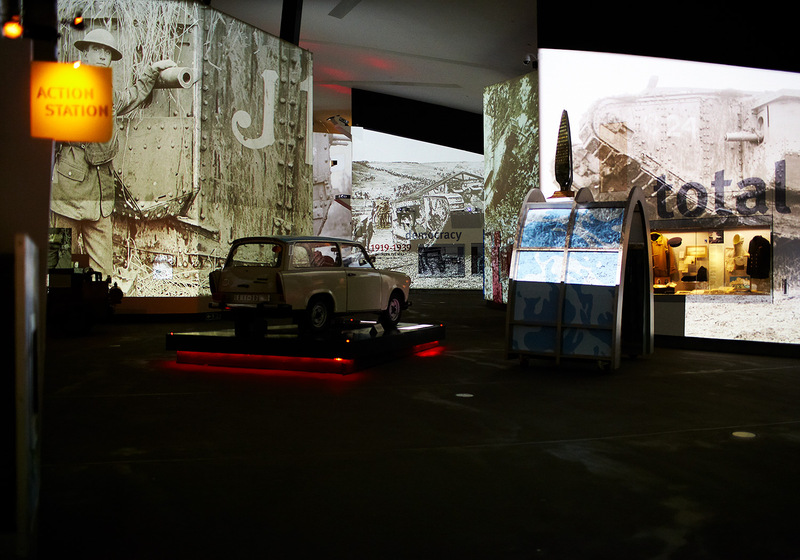 The result was a very effective upgrade, where not only the quality of the existing show was enhanced, but also future possibilities were improved, allowing the gallery for the first time to include moving footage and have the flexibility to create new types of show within the technical infrastructure.